Like many other niches, music production was not really a Linux forte. But that's changing now and like what happened to the video editing scene, popular music production tools are finding its way into Linux. Though I love listening to all kinds of music, I'm no music production expert. And hence I can't pass informative judgments on any of the applications you're going to read about in the article below. Consider this blogpost as a brief introduction to different music production tools available for Ubuntu and Linux, and not as a review per se. So here we go again. 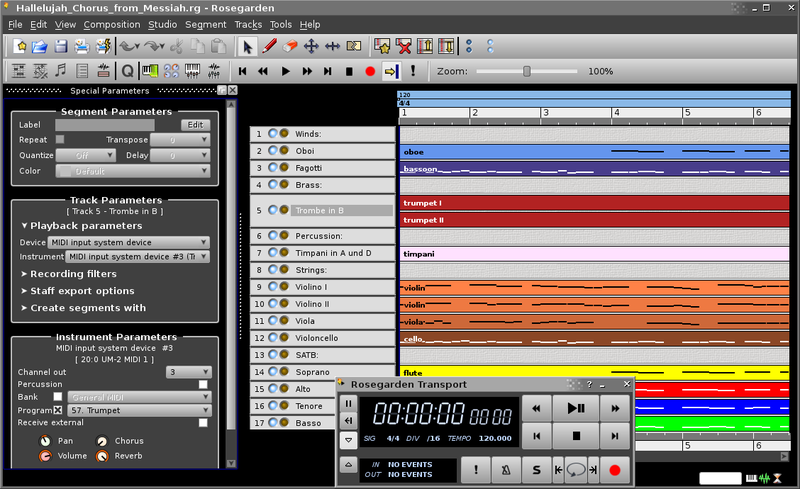 10 useful music production tools for Ubuntu and Linux. Bitwig Studio is a multi-platform music-creation tool for production, performance and DJing. Bitwig Studio is made by developers that used to work on Ableton Live, a Windows only Digital Audio Workstation (DAW). And like Lightworks for video editing, Bitwig Studio will be a professional grade music production tool with support for Linux platform. Expected release date: March 26, 2014. Know more. Record, edit and mix audio using Ardour. Supports Linux and Mac. Ardour is open source and is released under GPLv2/GPLv3 license. 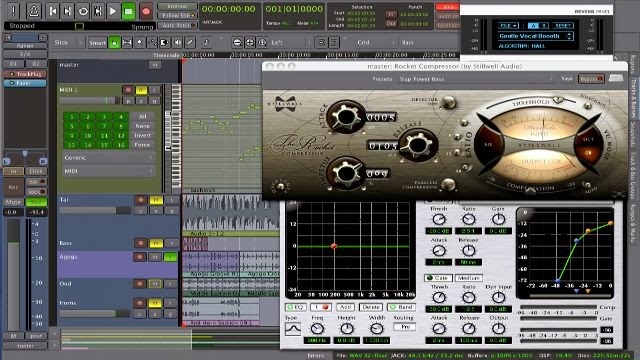 Ardour is a great example of commercial free-libre software. Users who download from ardour.org are asked to pay at least $1 for downloading prebuilt binaries of Ardour; those users then have the right to obtain minor updates until the next major release. Another option is to subscribe by paying $1, $4 or $10 per month. Subscribers can download prebuilt binaries of all updates during the subscription period. Without paying anything, users can download the full source code for all platforms. 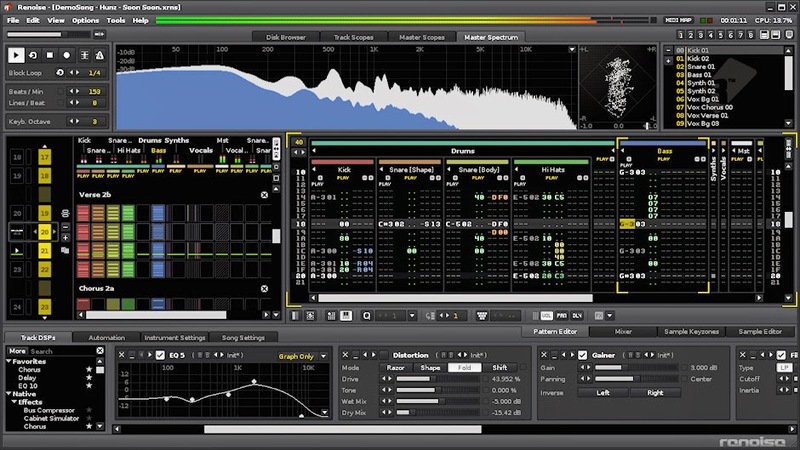 Renoise is a Digital Audio Workstation (DAW) with a unique top-down approach to music composition known as a tracker interface. Features include full MIDI and MIDI sync support, VST 2.0 plugin support, ASIO multi I/O cards support, integrated sampler and sample editor, internal real-time DSP effects with unlimited number of effects per track, master and send tracks, full automation of all commands, hi-fi .WAV rendering (up to 32 bit 96 kHz), Rewire support, etc. A full version of Renoise cost USD 78.00, which is noticeably cheaper than competing digital audio workstations (DAWs) such as Ableton Live and even the upcoming Bitwig Studio which costs around USD 749 and USD 400 (rumored) respectively. 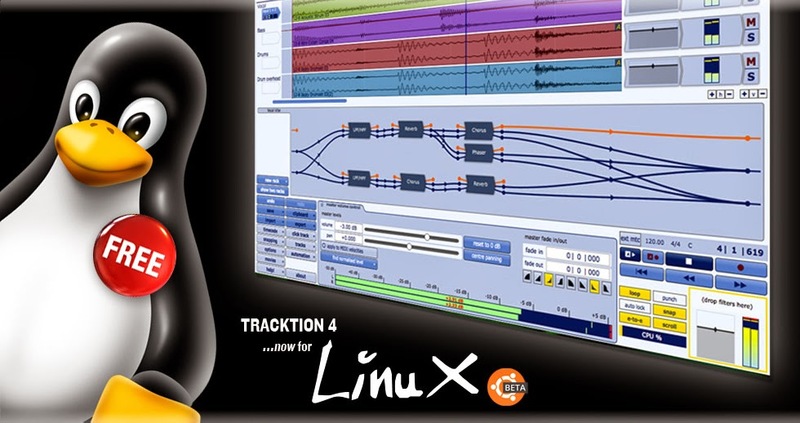 Tracktion is yet another high-profile entrant into the Linux music production scene. Tracktion is a digital audio workstation for recording and editing audio and MIDI. The project was started with the intention of creating the most easy-to-use music production tool out there. Tracktion is proprietary, and supports a wide range of audio formats including WAV, AIFF and Ogg-Vorbis. 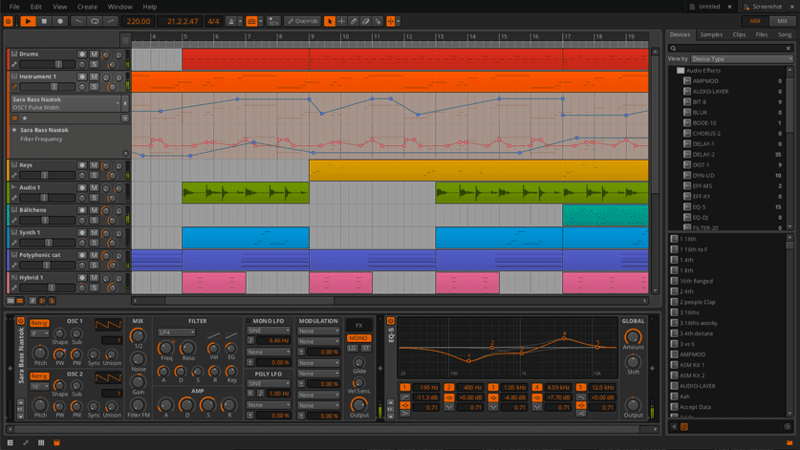 Tracktion beta version for Linux is free now. Get it here. Rosegarden is an open source digital audio workstation for Linux, based around a MIDI sequencer that features a rich understanding of music notation and includes basic support for digital audio. Ideal for composers, musicians, and students working from a small studio or home recording environments. Quite easy to learn and runs exclusively on Linux. 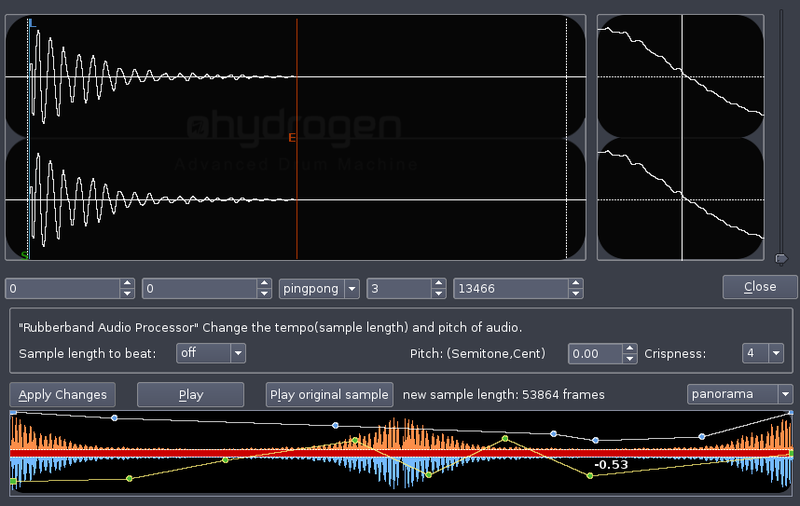 Hydrogen is an advanced drum machine for Linux, an electronic musical instrument designed to imitate the sound of drums or similar percussion instruments. Hydrogen's interface uses Qt library and the entire code-base is released to the public under the GNU General Public License. Mixxx is a free, open source, digital DJing software that allows mixing music in your Linux system with ease. Mixxx started off as a humble project for a doctoral thesis way back in 2001. Today it is a full-fledged application that is downloaded over one million times annually. It is licensed under the GPL (v2.0 or later) and runs on all major desktop operating systems. Audacity is the most well-known application here, and perhaps the most basic too. 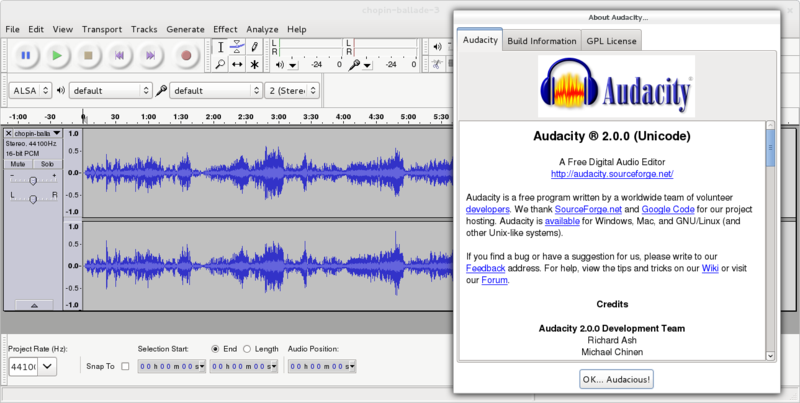 Audacity is a free and open source, cross-platform software for recording and editing all kinds of music and audio. It is one of the most downloaded software in SourceForge, with nearly 100 million downloads. If you are on Ubuntu, Click here to install Audacity. More download options for Audacity can be found here. 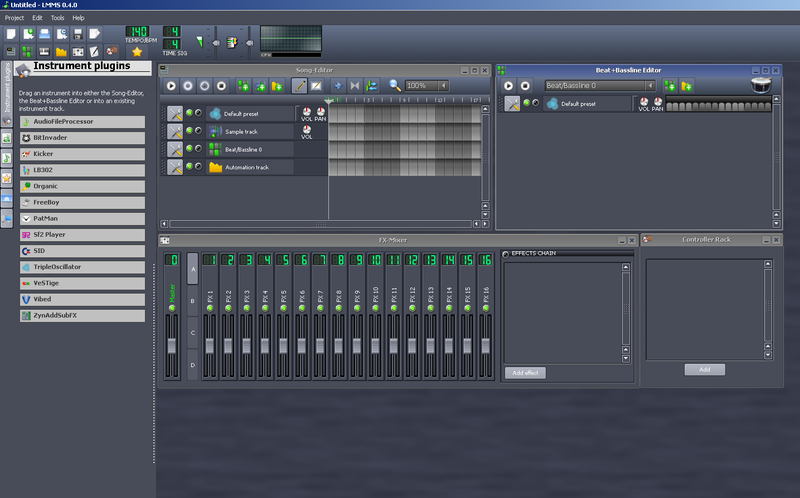 Linux MultiMedia Studio or LMMS is yet another free and open-source music production application on Linux. It works cross-platform too. This include creating of melodies and beats, synthesizing and mixing of sounds and arranging samples. LMMS is available for Linux and Windows. Download here. Jack Audio Connection Kit (JACK) is perhaps the most important tool as far as music production on Linux is concerned. It is a professional sound server daemon that provides real-time, low latency connections for both audio and MIDI data between applications that implement its API. Most of the open-source applications listed above and plenty more out there does use its API. See this exhaustive list for yourself. The server is free software, licensed under the GNU GPL, while the library is licensed under the more permissive GNU LGPL.